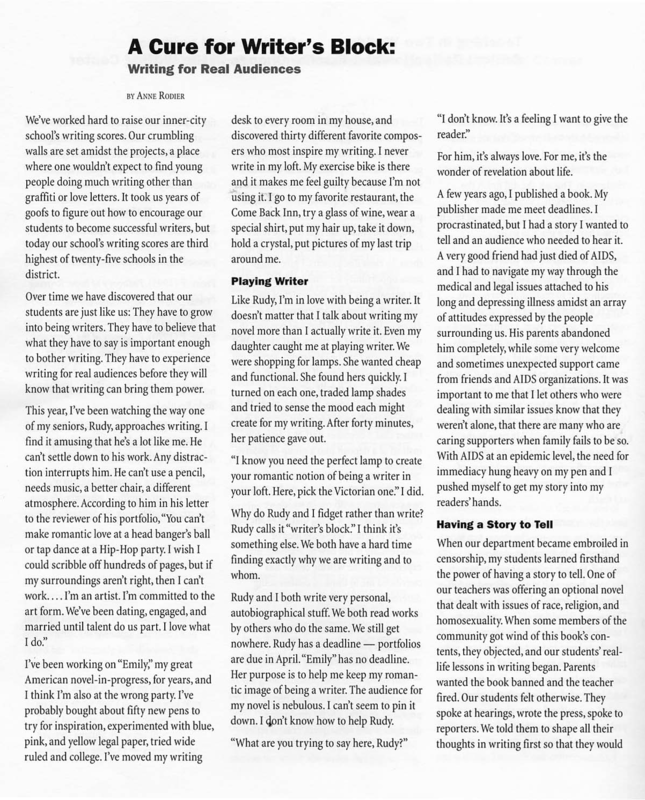 Summary: This teacher describes how she connects as a writer to a student whose drafts begin to find a real audience. She discovers that by guiding student writers toward an authentic purpose for their writing, young authors can see themselves as professional writers. Use this narrative as a hook to bring teachers together to discuss ways authentic audiences can propel students toward meaningful writing. What if part of every student’s curricular year included real-life, change-your-world writing? What if every teacher guided students to find the right focus for the right audience? What if they actually expected responses as a result of their writing? The possibilities are endless…Students writing for real audiences are motivated in a way that students churning out papers for grades are not.